22mm thick horizontal grain high gloss cherry vinyl pressed door. 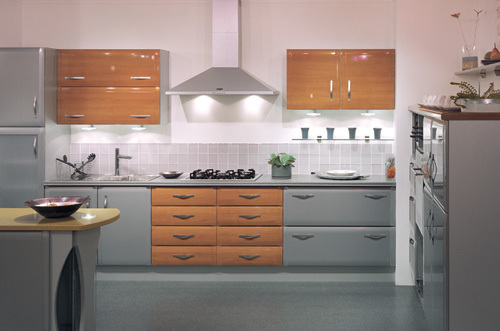 The kitchen is shown in a mix and match style with the Honesty (aluminium effect) range. The Summer Cherry range has a full complement of doors in all sizes. Honesty (aluminium effect) or Meteor (anthracite) ranges.